While Target was open in Canada, I moved twice. Once to a temporary rental property and the second time to my new, permanent residence. During both moves I looked to Target for my home décor needs. My ideal way to decorate is starting off with a very neutral pallet and then building with colours, patterns and textures. For me, Target was the perfect place to do just that, keeping my budget in mind as well. 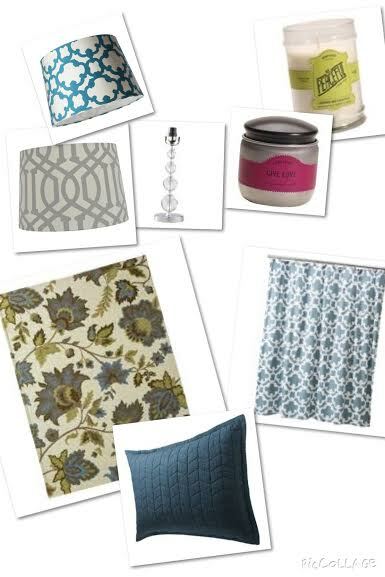 All of the items pictured above are from Target’s Threshold Collection. I just love the colours and patterns and textures. These are just a few examples of what I have in my home but, there are so many other choices and if you live in Canada like me, I would highly reccomend that you get to Target before they close in Canada for good. Here are a few things that I would suggest picking up while they’re on their way out! 1. Lamp Shades – I can’t get enough of the patterns and colours! It’s always nice to have some extras around and it is such a simple way to change up your décor! And when they cost between $19-$49, how can you go wrong! It is way easier and more cost effective to rotate lamp shades over lamp bases but, because Target’s lamp bases are also well priced and definitely some of the nicest as far as big-box store’s provide, you might want to look into those too! 2. Rugs – Any of the rugs in my home have been purchased at Target through the threshold collection. Depending on the size they range from about $100-$600. If you are into patterns like me and you are on a budget, this is definitely a great opportunity. The rug pictured above is in both my living room and master bedroom. I find it pairs well will lots of blues, greens and even some purples. Their selection of bath mats, and kitchen rugs also come in so many amazing patterns! 3. Candles – I am a huge candle lover and Target has a great selection at great prices. More importantly, they also have a great selection of soy candles. I have too many favourites to name! 4. All Bed and Bath needs – Target’s Threshold collection does a great job of offering the same, or like patterns and colours in towels, bedding, bath mats, pillows, etc. It’s nice if you want to have a plain bed spread but then want to match that colour to a towel or a pillow with a pattern. I would definitely recommend grabbing some towels with fun patterns and then plane ones that match the colours in the pattern.